TonyG is one of the most charismatic players in the poker world, loved and hated both by the fans and by his opponents. A tough and challenging rival at the tables, and a successful entrepreneur and a kind-hearted fellow off the felt. TonyG is a Lithuanian-Australian poker player, a well-known businessman and a philanthropist. Famous both on and off the felt, Tony has the record of almost $5 million in tournament winnings and runs a number of poker-related businesses including one of the largest poker media websites, PokerNews.com. Born Antanas Guoga in 1973 in Lithuania, “Tony G” is one of the best known players in the poker community. He moved to Australia just before his teenage years and began playing poker a few years after that. 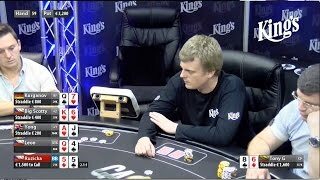 His reputation at the poker tables is that of an aggressive player that loves to banter back and forth with his opponents. But despite his antics at the table, Tony G is one of the most easygoing, genuine, and likeable poker players. Tony first entered the WSOP scene in 2004 and made two money finishes, however, he only tok hoem just over $4,000 that year. The G did much better when he returned to Vegas in 2006, he cashed in four WSOP events that year for a total of $70,000. Three more cashes in the WSOP followed in 2007, with another one coming at the WSOP Europe where he finished third in a Pot-Limit Omaha event for $190,056. In 2008 Tony added another $78,000 to his WSOP winnings with a sixth-place finish in the $5,000 No-Limit Deuce-Seven Lowball event. A year later he scored another three money finishes totaling in $260,000. Tony G was able to rack up a good amount of smaller cashes through the years and build his bankroll before he got his big shot to show the world what he could do on television. In February, 2003 he placed fifth in the WPT Euro Finals of Poker. 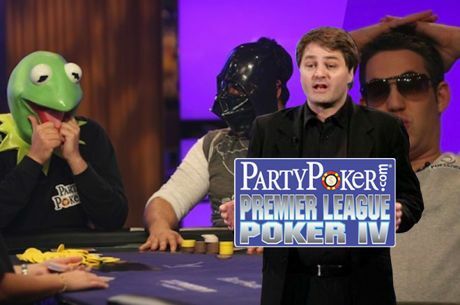 Although the cash prize wasn’t anything to get over excited about, Guoga landed some very valuable time on air. The fans and producers seemed to be drawn to his antics and table talk and soon enough, Tony G was getting invites from all over the world to play in televised events. At the 2004 Grand Prix de Paris WPT event, Tony G placed second and earned himself over $400,000. If anyone remembers the coverage of the event, you’ll remember that Howard Lederer refused to shake Tony’s hand because of the way Tony berated players at the table. In 2006 Tony scored his first pole position taking down the WPT Bad Boys of Poker II event for $25,000. The £15,000 High Roller event in London in 2010 was relatively successful as well, as Tony finished in second place for more than $130,000. In 2009, Tony G took third in the High Roller Championship at the EPT Grand Final in Monte Carlo, earning over $550,000. In 2005, TonyG collected over $450,000 at The European Poker Championships in London after winning the Main Event. In 2006, he took second at the Intercontinental Poker Championship for $150,000 during the summer. A few months later, he won the Betfair Asian Poker Tour in Singapore for over $450,000. In 2007 Tony went to the Russian capital for the Moscow Millions, where he took down the $10,500 Main Event for $205,000 to finish off his year. In total, Tony G has amassed almost $5 million in career tournament earnings. Outside of tournament poker, Tony G is also a regular in some of the highest stake cash games in the world. In one of his blog entries, Tony claimed to have won a pot worth over $5 million in a game of $5,000-10,000 Pot-Limit Omaha. TonyG is one of the three PartyPoker sponsored pros. He represents the site along with two other well-known players, the poker hall of famer Mike Sexton and Kara Scott. TonyG is the principal owner of numerous poker sites. The most popular of these sites is PokerNews.com, which serves as a poker news portal in multiple languages. In 2010 Tony G established the Lithuanian Poker Federation.